DICTATORSHIP OF THE DRESS a rocky start for me, Laney was too sarcastic and at times ungrateful in the beginning it was hard for me to like her. Then after a succession of delayed flights and some alcohol, Laney began to loosen up and show her more pleasant side to Noah and the readers. For me, it was after she opened up about her past relationship that had me empathizing with her which eventually endeared Laney to me. DICTATORSHIP OF THE DRESS is classic romcom, predictable, cute, hopelessly romantic, funny, slightly believable, and totally adorable! Told in dual POVs, Laney's backstory is bittersweet and a little heartbreaking, this ploy made her emotionally accessible to me. I wish there was more of Noah though like the unfortunate details of how he met and got into a relationship with her Bridezilla fiance. Then again Noah had a perfectly normal history so there's not much to tell. The ending was a bit over the top for my taste and a little insensitive considering the timing. However I'm a sucker for HEA stories so I still loved this despite some corniness here and there. PROHIBITED! is a prequel introduction to an upcoming historical series set in the Roaring Twenties that features Bright Young Things. It's a good teaser, managing to give us a firm insight to the characters and what they're like. Evelyn is a flirt, a little boy crazy, and somewhat irritating sometimes but I guess given the state of things she's bound to be that way. Then there's this love triangle that's shaping up to be a risqué and dangerous as both suitors, Jack and Robert, are club owners and peddle alcohol which was prohibited during this time. I have a feeling that the first book's plot will revolve around this messy affair and I'm sure the rivalry between Jack and Robert will escalate. Evelyn will have quite the conundrum in her hands because both men are swoony and I don't think either man will give in their claim to Evelyn that easily. I wish the language was more authentic to the era and I'm hoping the next book will be more atmospheric. I do love the twenties and it would be awesome to get that feel moving forward. Posted by Unknown Labels: Berkley, Book Review, Contemporary Romance, Delancey Stewart, Dictatorship of the Dress, Historical New Adult, Jessica Topper, Much "I Do" About Nothing, Prohibited! These both sound like good reads Braine. Although you had a few issues with DotD, it seems like a promising read! It's cute and very entertaining. I liked it enough because I'm bogged down by too many serious reads. I need something light in between. All of a sudden I am seeing Dictatorship of the Dress all over the place. I hear there are rocky parts but it's overall good. I might try it. IKR?! That's why I pushed back my review a little bit and made it short, I know a lot of you are sick of it by now. You have to be in a mindset of "don't take it seriously". I struggled with the first 30% too but it got a bit better eventually. I've seen a few good reviews for Dictatorship of the Dress. It was kind of pricey for the e-book so I think I'm going to head to B&N for that one. Pretty cover too. Hmmm, I suggest you find a used copy. It's good but not that great if you know what I mean. It can be a good read if you're not looking for anything "substantial" if you know what I mean. Looks like these were both pretty good reads for you! I have seen the first book around a lot lately and it defintiely has me curious about it! The cover art and blurb sounded fun so I guess that explains why it's popular but it's not the type of book one should take seriously. too bad about the language about the prequel but the first book sounds good and it's always interesting to be in a different period. Thank you for the discoveries, I didn't know about them. I'm a stickler when it comes to historicals, I want the verbiage and setting to be "there" otherwise it just feels like a bunch of modern people playing dress up. Unlikable characters are the bane of my existence, so I'm relieved to hear that Laney grew on you as the story progressed, otherwise this would have been a definite no-go for me. 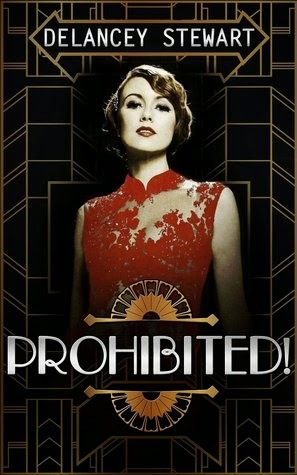 As for Prohibited, the language is what MAKES a book succeed at the roaring twenties theme. That's a huge oversight on the author's part. Yeah, twenties people talk a certain way and use particular phrases that is unique to the decade. Oh well, maybe the next one is better. I have read some great reviews for the Dictatorship of the Dress, so I want to read it. I am sad though that Prohibited wasn't a bit better. I love the roaring twenties. The Roaring Twenties is my favorite era when it comes to historicals lately. Flappers, speakeasies, Bright young things, so wonderful to read about these! The first one sounds cute and I've heard some good things! The second one sounds excellent except the language not being authentic to the era. That can totally ruin a book for me. I LOVE the 20's though! I struggled to sympathize with Laney in the beginning too. I actually connected more with Noah's woes. I thought the end was a bit rude too. But I did have a good time with the story. The 20s one does sound good mostly b/c I love reading books in that setting. I'll have to keep an eye out for it as a future read. I found her so ungrateful in the beginning, like Noah's already give her a break and she's still so snarky. Annoying! Dictatorship of the Dress really was a cute read. Laney annoyed me in the beginning too but then I really ended up liking her. Great reviews! I haven't read nor heard of these books. I'm curious about Prohibited. I love that era! That's okay, Faye, we all have our comfort reads... yup, historical books should be atmospheric otherwise it would feel like they're playing dress up. I haven't heard of either of these, but they both sound interesting. Thanks for your input on both titles. Even though you didn't love Prohibited the era and genre appeal to me..I think I would have loved to live in the era. I may snag it since even though you didn't totally love it I would be interesting in reading book one. Go for it! It's a quickie read too so that's an added incentive. I didn't know about these books. I might read Dictatorship of the Dress, but I'm not sure about the other one. Have you read the Roaring Twenties series by Jenn Bennett? Yes ma'am, absolutely loved Roaring Twenties! I really liked DotD too. There were over the top parts, but it felt so ... Hallmark movie or something, that it seemed to fit. lol. I like getting this double shot, Braine! 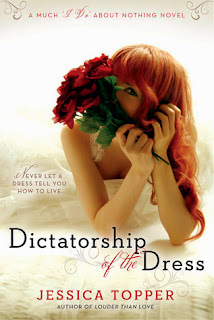 :) Dictatorship of the Dress is one I'll probably pick up at some point. I like what you had to say about Laney - after she'd loosened her tongue with a little alcohol. ;) And I'm intrigued with Prohibited as well but I'm with you about the language...I read an HR last week that used language I didn't feel was period and that bothered me. Hope you're having a great week, girl! !